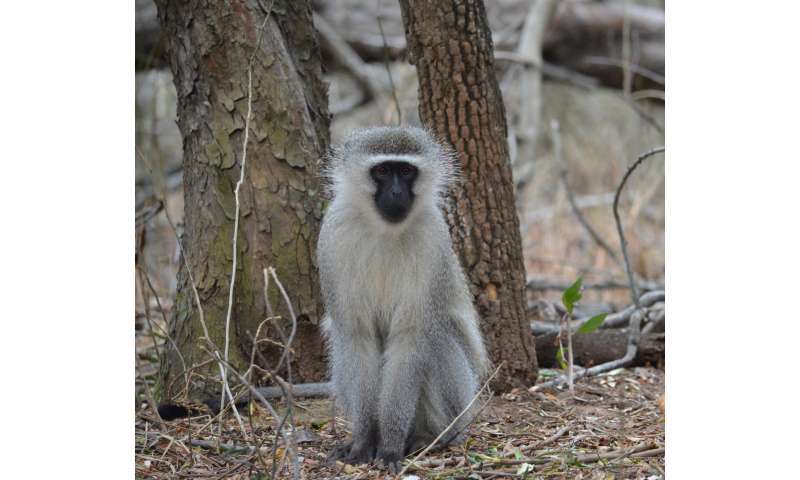 Male vervet monkeys attack members of their own group to prevent them from escalating intergroup encounters into high-risk fights, or to de-escalate ongoing intergroup fights. In contrast, female monkeys use "the carrot and the stick" to promote male participation in intergroup fights, anthropologists at the University of Zurich and University of Neuchâtel have shown. While conducting her doctoral research at the Inkawu Vervet Project in South Africa, Jean Arseneau-Robar, the first author of the study, observed males attacking their own group members during intergroup fights. "It has always been assumed that males exhibiting this behavior want to prevent females from mating with males in the opposing group. These acts of male aggression have thus always been interpreted as acts of mate defense," says anthropologist Jean Arseneau-Robar. However, the researchers noticed that male vervets usually did not attack female group members who were trying to affiliate or mate with males from the opposing group. Instead, males were more likely to direct aggression towards group members who were either trying to instigate a fight, or who had recently fought. Erik Willems, who led the research, says: "We have recently shown that females in this species use both aggression as punishment and grooming as reward to manipulate the participation of male group members during intergroup fights." The researchers now wanted to know if males might similarly be trying to influence the outcome of intergroup fights. Indeed, they found that when males used aggressive behavior against their own group members, it effectively manipulated the behavior of their targets. However, male punishment and coercion inhibited group members from fighting, de-escalating the entire intergroup conflict. UZH professor Carel van Schaik adds: "It was really interesting to see that while females use punishment and rewards to try and rally the troops, males actually use punishment and coercion to try and stifle the fighting, effectively keeping things calm and safe for small, vulnerable infants." Redouan Bshary, professor at the University of Neuchâtel, notes: "Usually, it's the larger or more powerful individuals that punish the weaker ones. Our findings in the vervet monkeys are novel because here, both females and males are equally able to use this manipulative strategy. Importantly, females often form a coalition when punishing males, using strength in numbers to compensate for their smaller size."